When planning a trip to Australia, the ultimate goal is to leave all your worries behind and explore new landscapes while meeting new people. Amidst the excitement, you might not research on things to pack for your trip, and that might leave you in a fix later. Now if your vacation destination is Australia, a continent with many weather conditions, you may need all the help you can get. Either way, don’t panic, we’ve got you covered. Here’s all the ultimate Australian packing guide, just for you. Read up on Australia’s weather based on which part of the country you’re visiting. The seasons in Australia are the exact opposite of the ones in the northern hemisphere. So remember to pack clothes based on your destination. Since Northern Australia has a tropical climate, this means that summers are hot and humid, while winters are dry and warm suggest you to pack shorts and cotton long-sleeve T-shirts to beat the heat. Southern Australia on the other hand has a cooler climate. Here, you’ll experience mild summers and cool winters, with slight showers every now and then. For such a climate, we suggest you to carry full pants and some warm T-shirts. In case you’re heading here during the winters, we also recommend taking along a jacket or a hoodie. 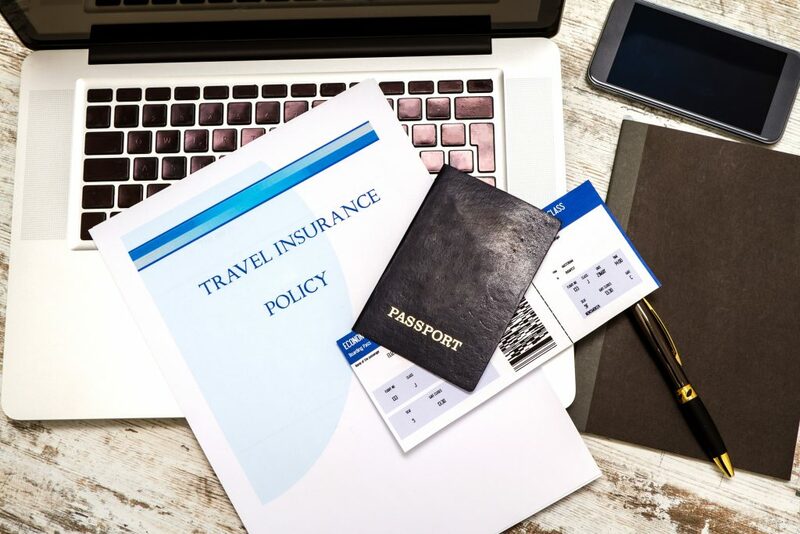 Along with your passport and visa, the other most important document which you need to carry on your trip to Australia is your driving licence if you intend to rent a vehicle in Australia. It is always better to carry a couple of extra IDs or documents. Lastly, print out a physical copy of your itinerary just in case. Apart from ensuring that all necessary documents are carried, make sure you also convert your INR to AUD. Australia has no shortage of beaches, trekking trails or outdoor activities. To make the most of these, you need to dress appropriately. If you want to relax on the beach and get a tan, we suggest you pack a few bathing suits. While there is no particular dress code for a beach, you’ll definitely be most comfortable in surfing shorts if you’re a guy and a bikini if you’re a woman. But if that’s a bit too revealing for you, wear whatever you’re comfortable in. 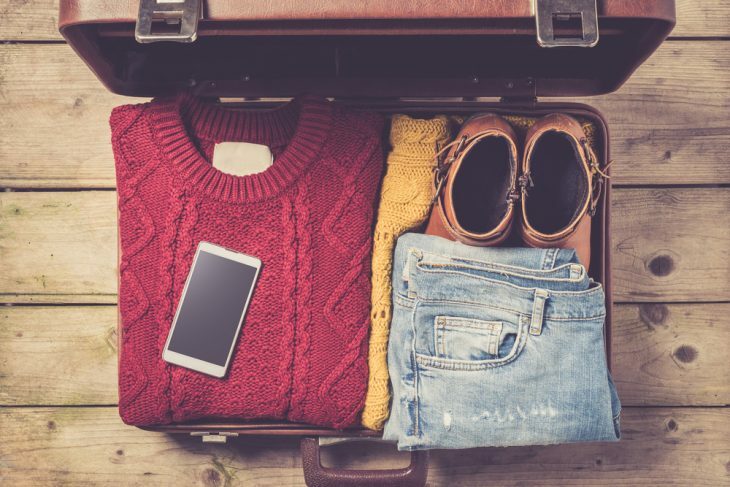 While on your trip to Australia, if you intend to spend a major chunk of your vacation exploring the wilderness and mountain sides, make sure you pack some loose long-sleeve T-shirts and also a couple of long cargo/trekking pants. The reason being, you don’t want an unnecessary tan and you definitely don’t want to get bitten by one of the many poisonous insects that call Australia home. 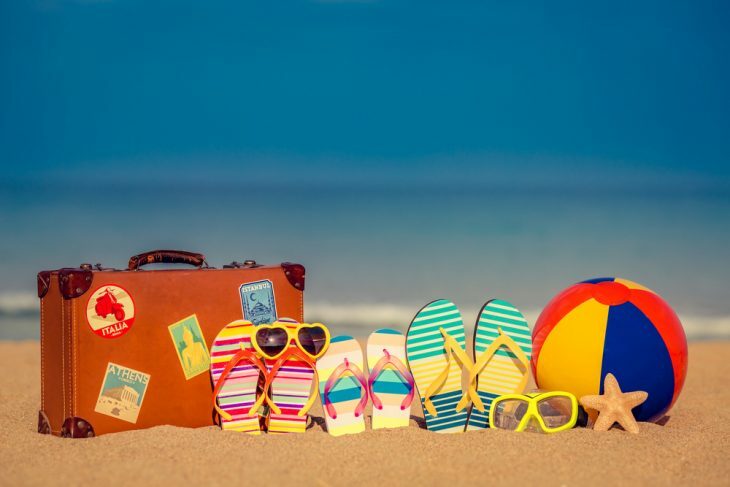 Pack your footwear based on where you intend to be throughout your trip. The safest thing to do is pack a pair of flip-flops/sandals, trekking shoes, and sneakers. So whether you’re heading to the beach, walking through a forest or making your way through a crowd of tourists, you’ve got your feet covered. Needless to say, you’ll be taking your mobile phone along, but don’t forget its charger in a hurry. Also take along a pair of sturdy earphone/headphones that will keep you company on the long fight there. 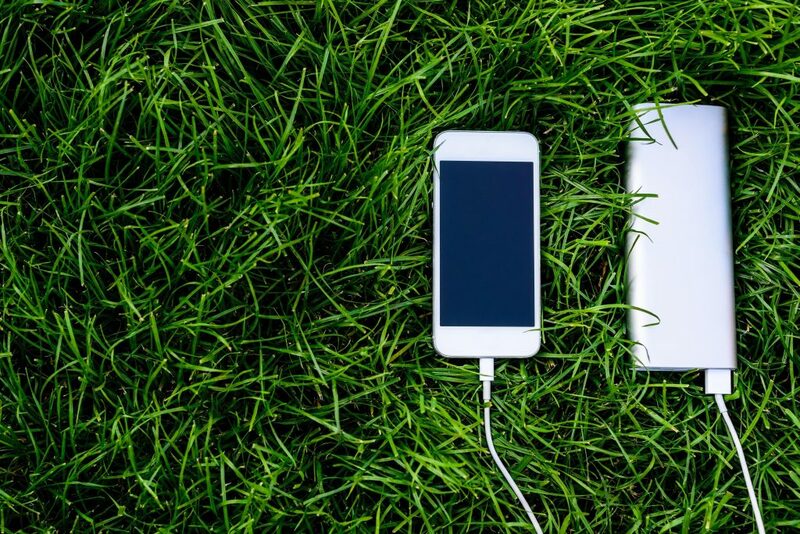 To keep your phone juiced up through the day, do pack a power-bank too. To capture memories to last a lifetime, take along a digicam. However, if you want to give your pictures that professional touch, take along a DSLR. Don’t forget their chargers, accessories, and even some extra memory sticks so you don’t run out of memory space. Most importantly, take along a travel adaptor so you can keep your electronics charged all through your trip. Besides the above, you’ll need a lot more to make sure you enjoy a hitch-free trip. Take along your international debit/credit cards to make hassle-free payments. Also, remember to exchange your INR to AUD just to be safe. Save your skin from the excessive heat by taking along some sun-block, hats, and sun-glasses. If you’re on medication of any kind, do not by any means forget those. Pack along everything we’ve mentioned in the ultimate Australian packing guide and you can be assured you most definitely won’t need another thing on your trip to Australia. Plan well, pack what you need and bring back some memories and souvenirs. But most of all, have a good time because enjoying a good vacation is priceless. 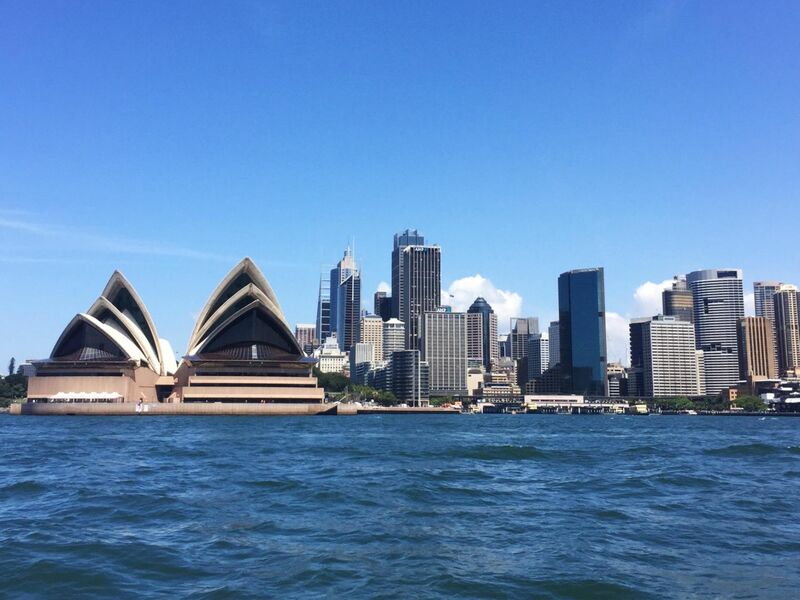 When planning a trip to Australia, leave all your worries behind & explore new landscapes. Here’s the Australian packing guide you need.